According to the US Department of Homeland Security, the number of illegal immigrants in the United States of America is estimated at 11.4 million as of January 2012. Mostly fleeing Honduras, El Salvador, Guatamalo and Mexico to the United States, illegal immigrants, especially children, try to escape the imminent dangers of getting involved with gang violence and drug cartels, that wait to recruit the young as decoys, traffickers and worse – guaranteeing them a short-lived youth. A worldwide crisis, people dangerously crossing borders in search of a better life, the spotlight now falls heavily on Europe as refugees scramble for a safe haven, and are forced to board trains for camps in Austria and Serbia. If this sounds vaguely familiar, yes, it does remind of the Holocaust, as the world faces the biggest movement of people since World War II. America, however, has been facing a steadily worsening illegal immigration problem, which has escalated in recent years, while the number of ‘aliens’ crossing the desert in search of a better life, increases every year. In 2014, according to government figures, at least 52 000 unaccompanied alien children had been taken into custody attempting to cross the border. 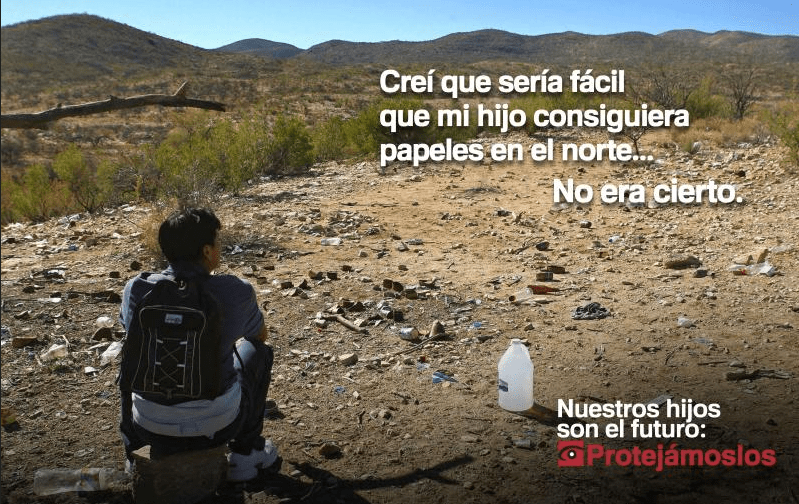 Last year, in an attempt to curb the perilous practice of illegal immigration, the US Customs and Border Protection (CBP) officials used a multimedia ad campaign “to send out a warning to those who are attempting to migrate to the United States from Central America… particularly parents who send their children thinking they will have amnesty upon arrival on American soil”. Largely ineffectual, this campaign included print, radio and TV ads with the universal message that the journey is too dangerous; children will not get legal papers if they make it; and they are the future – let’s protect them. Paid advertising was placed in Central America and Mexico. Sponsored by the Obama administration, ‘these country-specific spots were visually compelling, had interesting storylines and special effects’, writes journalist Cedar Attanosio. But, because these advertisements were primarily devoid of creativity and a clear sense of determining the target audience’s need and ‘conversing’ with them, the Dangers Awareness Campaign missed the mark completely, failing to highlight any ‘dangers’. Instead, these ads strengthen the alienation between the ‘source’ countries and their intended ‘host’ country. Should we help them? Should we stop them? Also in 2014, Al Jazeera launched a campaign aimed at eliciting compassion, challenging viewers to better understand the plight of would-be immigrants. In a slightly improved spot than the ones launched by the CBP, a real-life story is told, simply but dramatically. Human coyotes, or those who illegally traffic people across the border, were emphasised and the message was simple and to the point in an attempt to reach a broad target audience. But the campaign failed dismally as the American public held up a STOP sign. This year, President Obama spearheads a campaign to dissuade would-be border crossers, which takes on a much more hostile approach. 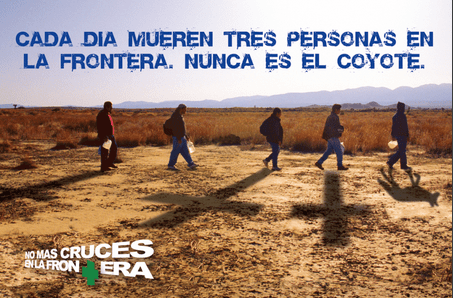 Again produced by the CBP, and as economic and political worries completely deplete sympathy from US residents, this Spanish-language campaign will do little to prevent further alienation between illegal immigrants and the American government, and the former heeding the warning of a seemingly unsympathetic nanny-style approach. According to the CBP, once again the ‘brain’ behind the campaign, “The paid advertisements, which include posters as well as television and radio spots, will run in various media platforms in Central American countries and Mexico through October 5 2015 for 12 weeks. Similar to a message from a machine in Terminator (cue Elon Musk) or the spaceship Enterprise, would-be illegal ‘aliens’ from Mexico, El Salvador, Guatemala and Honduras, receive their ‘facts’ devoid of human interaction. This is no longer a request, it is a warning; it is no longer a caring suggestion, it is a threat; and it is not a friendly reminder, the message is unequivocally clear: Cross our borders. Face the consequences. However dire they may be. Which begs the question: why are advertising agencies not getting involved?